Hal has been Plymouth's senior minister since 2002. Before that, he was associate conference minister with the Connecticut Conference of the UCC. A grant from the Lilly Endowment enabled him to study Celtic Christianity in the UK and Ireland. Hal's sabbatical blog about both Christianity and Empire as well as Celtic Christianity is here. Together with Sarah and Dom Crossan and Jane Anne Ferguson, Hal led a pilgrimage in Ireland in 2015, and he and Jane Anne also led a pilgrimage in Scotland in 2017. Prior to ordained ministry, Hal had a business in corporate communications first in the Silicon Valley and then in Boulder. He has two sons and a golden retriever, and is married to the Rev. Jane Anne Ferguson. Jake came to Plymouth in 2014 having served in the national setting of the UCC on the board of Justice & Witness Ministries, the Coalition for LGBT Concerns, and other settings of the church. Jake has a passion for ecumenical work and has worked in a wide variety of churches and traditions. His experience include hospice and hospital ministry settings. He is a member of the Next Generation Leadership Initiative (NGLI) of the UCC Pension Boards. Jake is a fluent French-speaker and formerly lived in Nantes, France. He and his husband, Gerhard, live in his hometown, Fort Collins, where Jake is also a Commissioner for Housing Catalyst (The Fort Collins Housing Authority), a Board Member for the UCC's Archway Housing, Habitat for Humanity, and other non-profit boards of directors. Jake serves Plymouth as the Associate Minister for pastoral care, outreach, mission, congregational life, and he is the church Communications Director. Jane Anne has great depth of experience in Christian formation, having been director of Christian education at the Church of Christ in Yale (Battell Chapel) and First Plymouth Congregational Church in Denver. 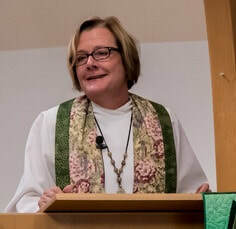 She has served as associate minister at First Plymouth in Denver and interim associate at Plymouth in Fort Collins, as well as interim pastor of Community UCC in Boulder and Henderson Community UCC in Henderson, CO. Jane Anne is a writer, storyteller, and contributor to Feasting on the Word, a popular biblical commentary. She is also the writer of sermon-stories.com, a lectionary-based story-commentary series. Mandy began her ministry at Plymouth in August of 2014. She is originally from Michigan where she followed her call to ministry to become a Deacon in the United Methodist Church. Her passion is helping young people grow in faith in creative and meaningful ways. She lives in Loveland with her husband, Chris, and their golden retriever, Oberon. Mark has been Plymouth's Director of Music since September 2017. Originally from Northeast Ohio, he arrived from Cincinnati after several years of post-graduate study in organ and conducting at the Cincinnati College-Conservatory of Music. Mark also has experience and great interest in a diverse range of musical styles including jazz, rock, musical theatre, and gospel. He is thrilled to serve a congregation and staff that values diversity and inclusion in all facets of life. 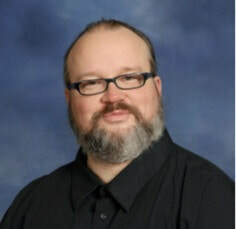 Mark brings a passion for Christian education that bears fruit in social justice. He has had a lifelong fascination with theology, with a particular emphasis on how Biblical hermeneutics shape personal and political action. Prior to coming to Plymouth, Mark served as pastor for Metropolitan Community Churches in Fort Collins, Cheyenne, and Rapid City. 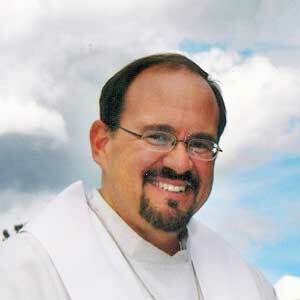 In addition to his duties at Plymouth, he serves as ONA Coordinator for the Rocky Mountain Conference. He and his partner Ivan Loy, a mathematics professor, breed Boer goats and tend a huge garden. Barbara joined the Plymouth staff in March, 2005. She was raised in International Falls, Minnesota, and her first job was at Boise Cascade's Research Dept. In 1980 she moved "south" to Minneapolis where she worked at Regis Corporation. After several visits to Colorado to visit her sister, Barb moved to Ft. Collins the summer of 1986 and was employed as Office Manager for a group of psychotherapists for 13 years. She sold her home at Horsetooth Reservoir and moved to Oklahoma in 2000 where she was employed as Office Manager at the Henry Law firm. In late 2004, Barb returned here to be near her elderly mother and worked as Office Manager for AATA International before finding Plymouth. She rescued a lovable Black Lab mix dog, Daisy, and and she enjoys movies, traveling, and spending time with family and friends. Anna Broskie was born and raised in Northern NJ and is ordained as a Unitarian Universalist minister. Most recently, she was Communications Director at St. Luke’s in Fort Collins; prior to that she served churches in the Boston area, Santa Cruz, CA, and Fenton, MI. Anna splits her working time with Foothills Unitarian Church. She is married, has two kids, and two dogs, the calmer of which occasionally comes to work with her.